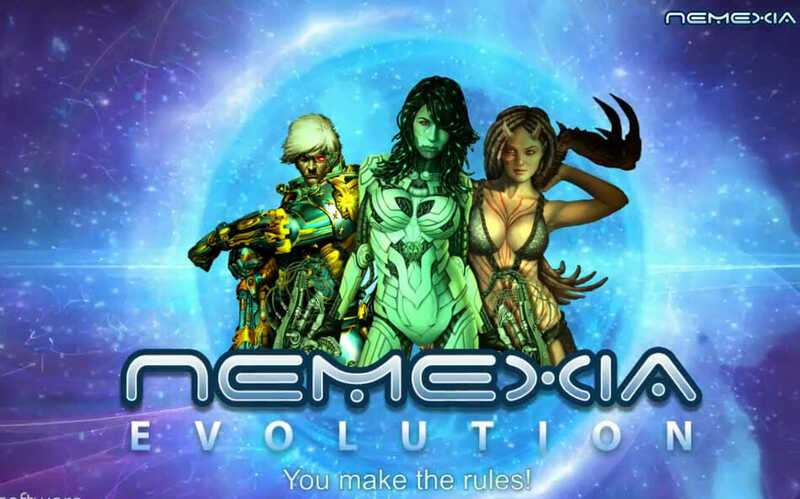 Nemexia by XS Software is a free to play browser based MMO that is set in the realms of space. 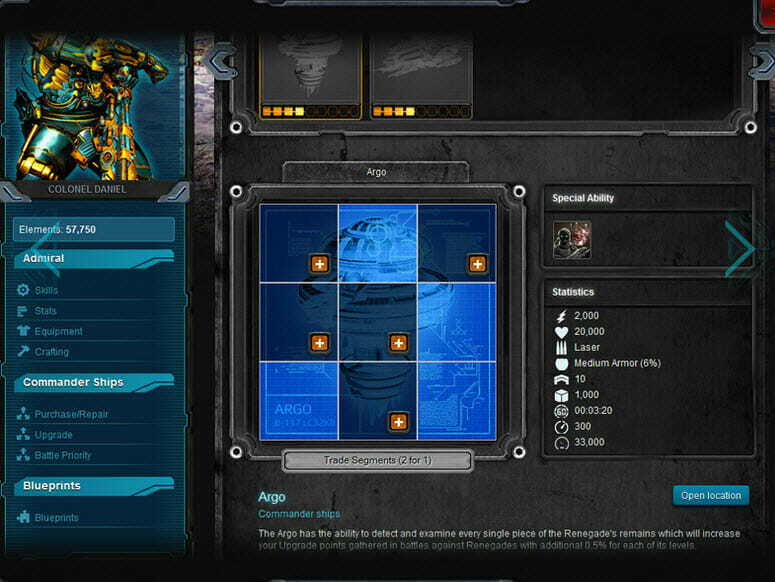 It allows players the opportunity to play the game in a Universe with as many as 15,000 other players and sees each choose between the three races of Noxis, Confederations and Terteths to fight for. 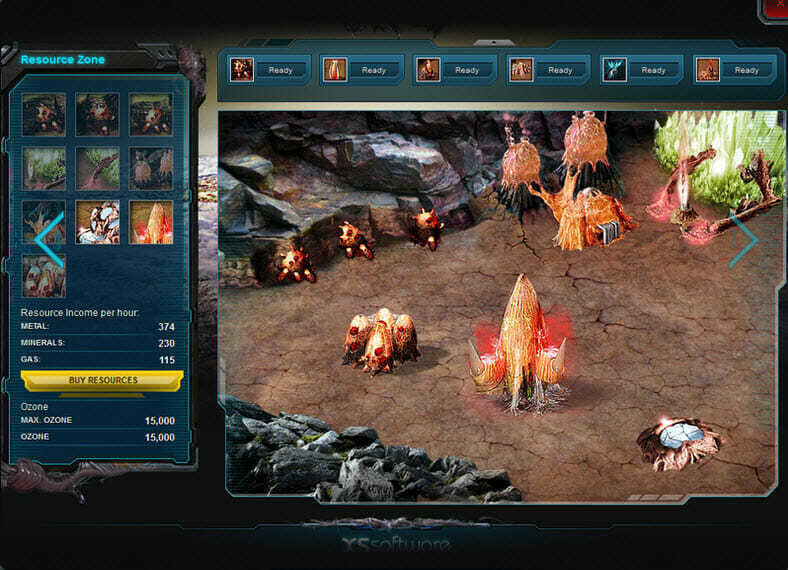 The game will see you make alliances, enemies and have you work with your race to complete the main goal in the game. 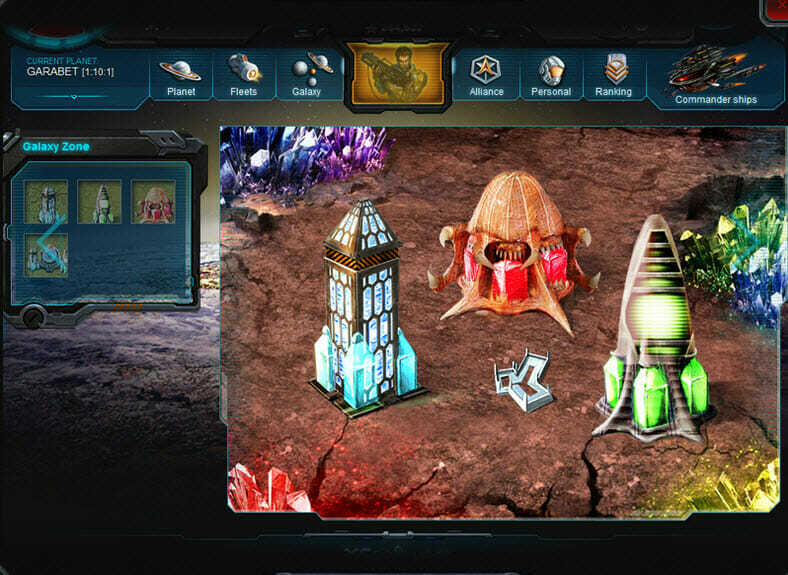 Each of the races will have their own particular strengths and will have different types of ships and buildings that can be constructed. The Confederation are the human race in this game and they have access to big, strong and heavy ships that carry with them great power. The Terteths are actually a robotic race that are extremely intelligent. Their ships strengths are a balance between the other two races. 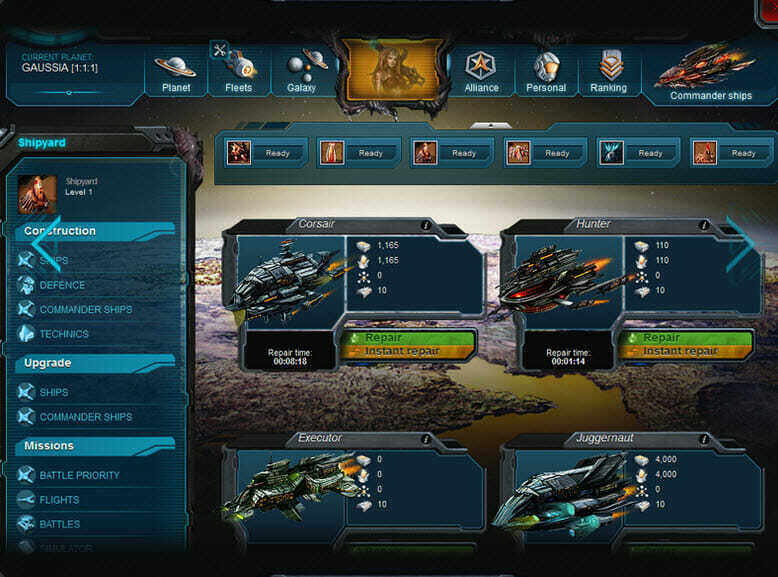 The Noxis are the alien race in the game and although they do not have the pure power of the Confederation, their ships are very fast and agile. The battles that you have with your enemies are an extremely important aspect of this game. 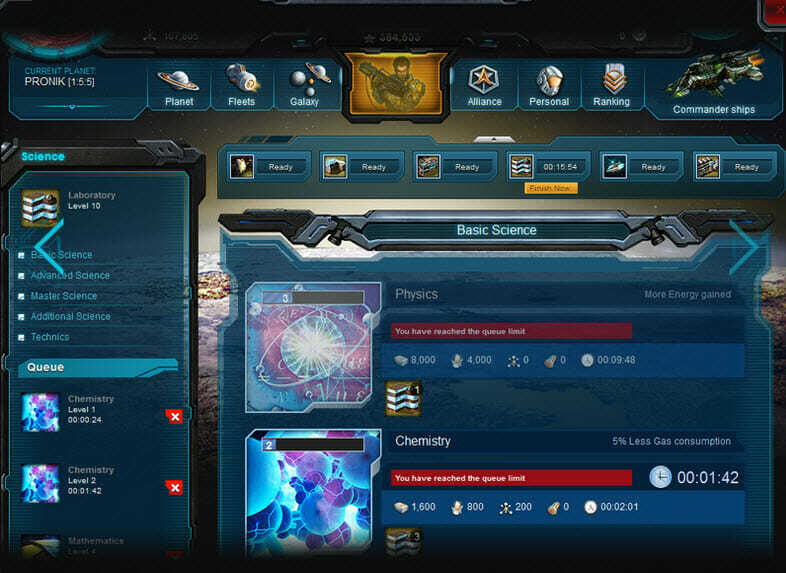 Once a battle is completed you receive a quick report of the results that will show who the winner was and how many ships, structures and resources were won or lost. 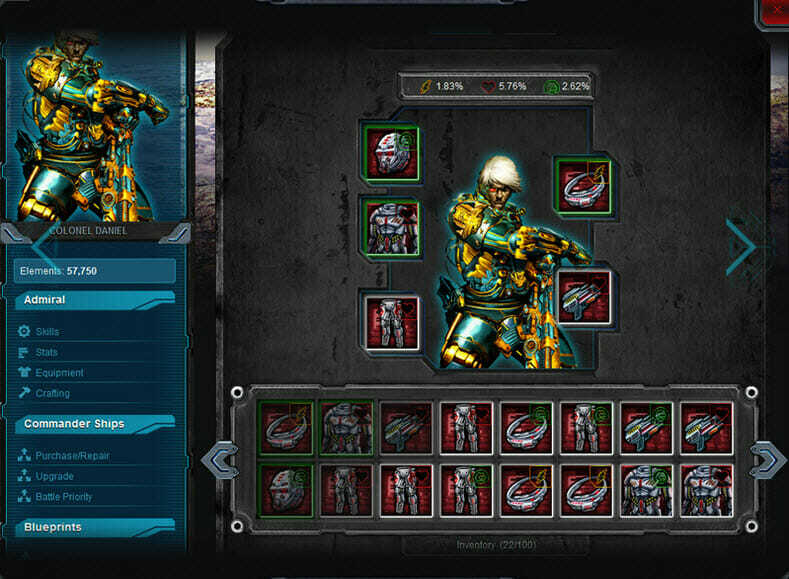 To enable you to have a strong army, you need to be able to gather sufficient resources. The most important of these is the energy from the Sun. As well as being one of the main resources in the game, the Sun actually also depicts how long the game will last. When you start a new game, the Sun is born and will last a number of days between 225 and 355. During a normal speed game one day will last one day but in an accelerated game you could find that one day for us represents more days in the game such as two. 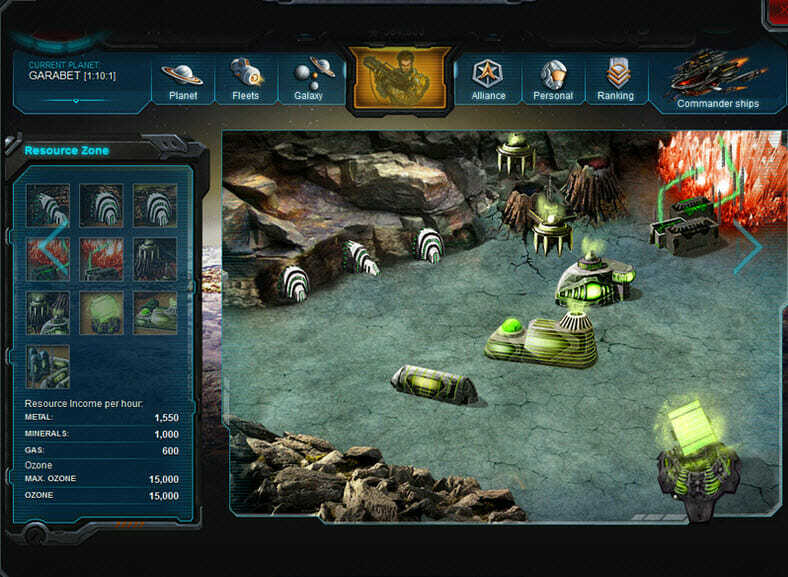 Come the end of the game, the race that has accumulated the most points through battles, construction and resources will be declared the winner. There are some significant advantages for players that decide to plough some money into the game for a premium account. 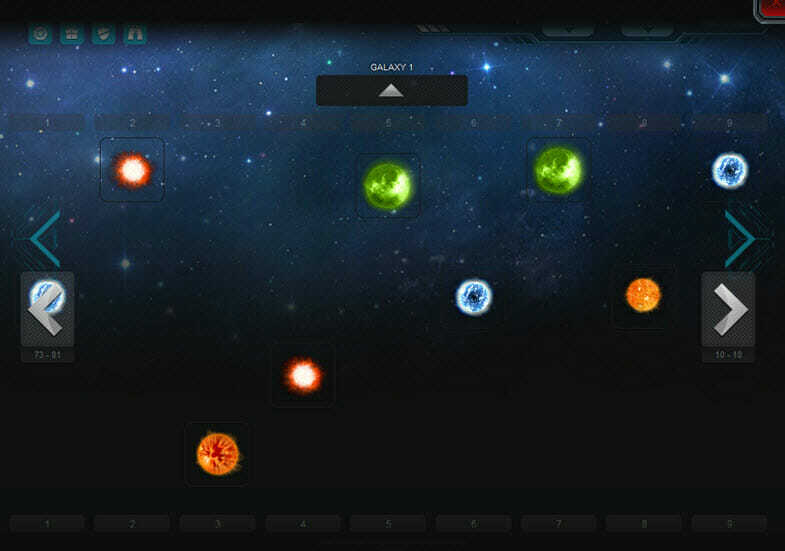 This can be from having a larger building queue, the ability to see if an asteroid has any resources within it, the ability to see when another player was last online and probably most importantly the ability to know when somebody has sent a fleet to attack you. These can have a real impact on the turning of a game, which can make it a little unbalanced at times for the non-paying players. The developers of free to play games do have to eat too however, so it is a necessary evil. The game is well thought out and although it is not graphically brilliant it is good enough to keep fans of this genre happy enough. 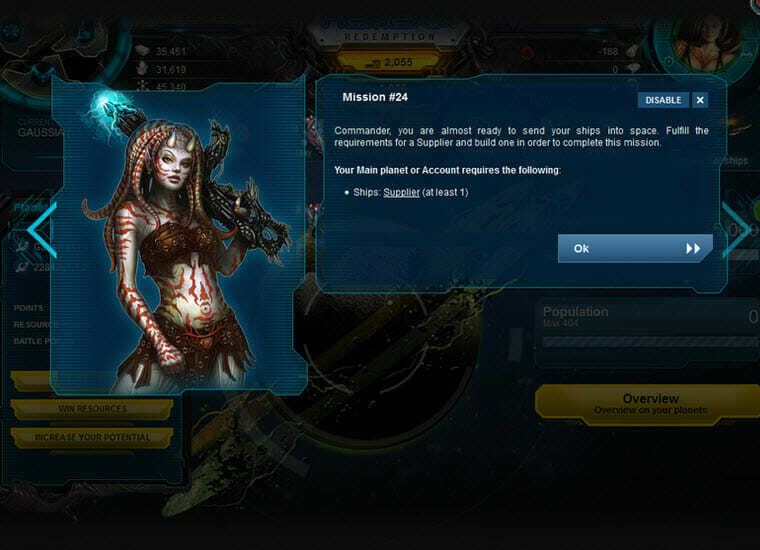 We do feel that the premium options are a little strong and that could easily discourage free players from playing the game. There are other games in the space setting that are better, it has to be said but we do recommend at least giving this one a try. You must try this game!